Matthew Facciani is currently working on his PhD in sociology at the University of South Carolina. He completed his undergraduate education at Westminster College, PA receiving a B.A. in Psychology with honors. He also received an M.A. in sociology at the University of South Carolina studying the social factors of why people reject evidence. Before switching into sociology, Facciani was working on a PhD in cognitive neuroscience, which led to publications in Human Brain Mapping and Quantitative Methods in Psychology. He is also an instructor at the University of South Carolina where he teaches psychological statistics. 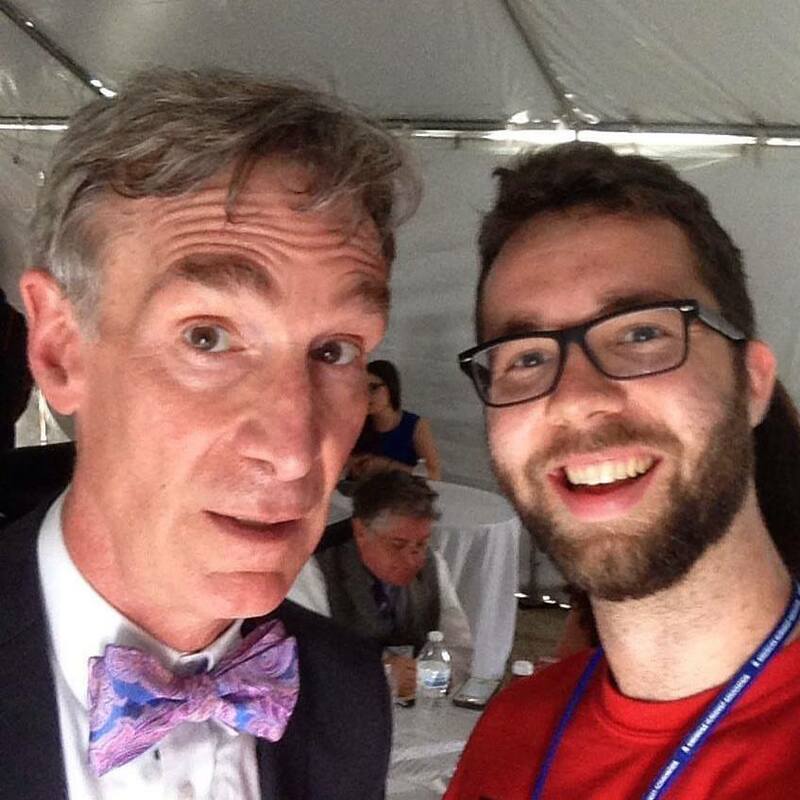 Bill Nye is an inspiration of mine and it was awesome to meet him! Facciani currently writes for Patheos with his blog According to Matthew. Facciani's writing has also been featured on Free Inquiry, Faith Street, The Good Men Project, Skeptical Raptor, Feministing, Secular Nation, and others which are linked in the writing section of this site. As for activism, Facciani is involved with various organizations and projects which promote gender equality and religious tolerance. Facciani also travels around the country to give talks about psychology, sociology, and his activism work. Once Facciani finishes his PhD, he plans to become a college professor and science communicator.